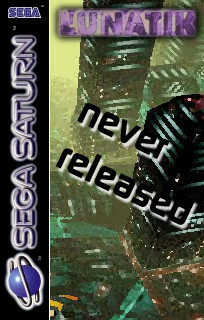 There were many reasons for the failure of Lunatik on the SEGA Saturn. Basically the idea of the game was to make a 3D version of the classic game 'Defender'. The title was being developed for PC, Playstation and the Saturn. As with all titles you tend to have a 'lead platform' which is the one that gets the art assets or level design, or feature development first, then the others have to keep up with that process. Lunatik was no different and the lead platform was the PC version. I joined Pure to do the Playstation version and I was struggling to get the engine working quick enough to keep up with the PC version (graphics cards had just come out and the amount of geometry and textures were large on the PC version). It got to the point where the Playstation version was doing ok - I ended up breaking the official record for numbers of polygons the Playstation could handle, so that gives you an idea of the intensity of the job required. However the Saturn version was lagging behind quite badly - the textures looked pretty awful because they had to be down-sampled to fit in the smaller texture memory, and the geometry engine was struggling due to the more limited ability of the Saturn. 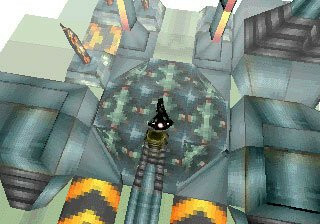 But ultimately the project failed because the original concept (3D Defender) was next to impossible to do really well. We tried many different gameplay mechanisms to make it work, and none were working. Ultimately we ran out of time to make it work and Eidos cancelled the project. The game did get a limited release for the PC. It was bundled with graphics cards as a graphics showcase, but the game itself was poor. It's a shame it failed because if there was a way to make it work it could have been fantastic. I personally found it pretty gutting because it was my first game in the industry and we'd spent 2 years on it for nothing. This story isn't an uncommon one in the games industry unfortunately. Lunatik was in development for the Saturn. It was a 3D space shooter, with the player controlling a ship and using it to clear planets of enemy ships. It was quite a retro-styled game, but with contemporary graphics (at the time at least). The game was in development for the Saturn, and we had some promising results, but it wasn't quite as slick as the PSX version and, ultimately, the Publisher, as they all did, lost interest in the Saturn, so it never got released on that platform. Lunatik was being funded by Eidos. About half way through development, Eidos decided that they didn't want to make Saturn games any more as the console was no longer selling well. I thought it was a shame as the game was (originally, at least) conceived as a very fast-paced top-down scrolling shoot-em-up which I always thought would work well with Saturn's more hard-core audience.